Now that the trees have leafed outside my windows, and all the roses are blooming, all I can think of every day is how much I want to be outdoors! Luckily, Katie Rosenfeld always makes me think of summer indoors. 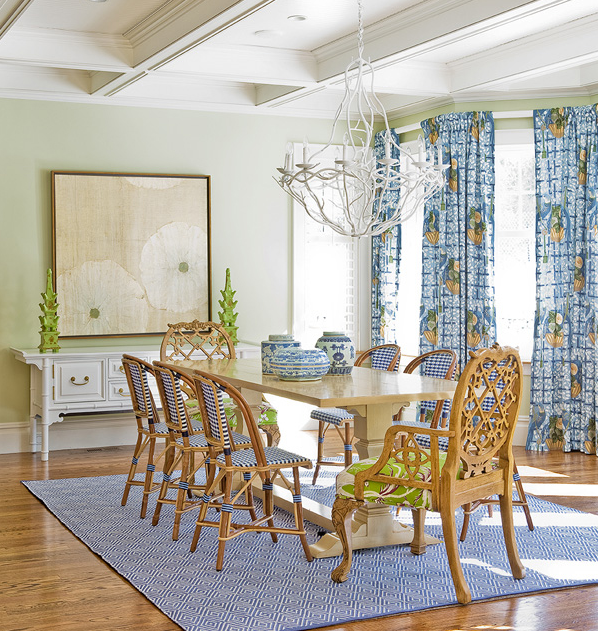 Everything in this space feels light and breezy - even the coffered ceilings are floating! Somewhere in this room is a stereo system playing the Beach Boys (probably the latest album, That's Why God Made the Radio, but I'm just guessing). 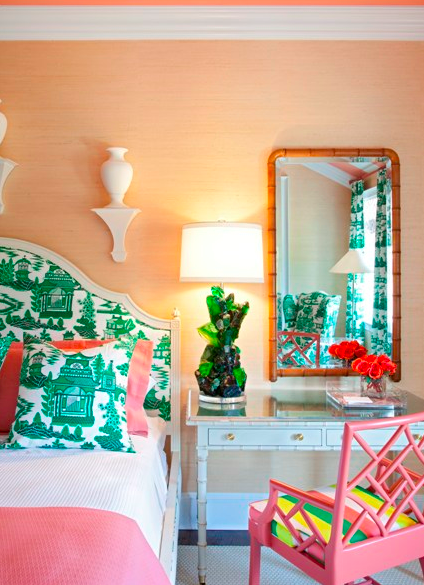 Color, color, everywhere, beach pink walls, and mirrored surfaces keep things bright. 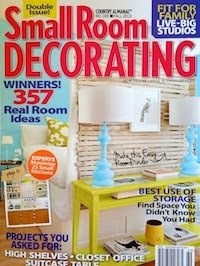 And my favorite: coral and green, and chinoiserie all in-between. 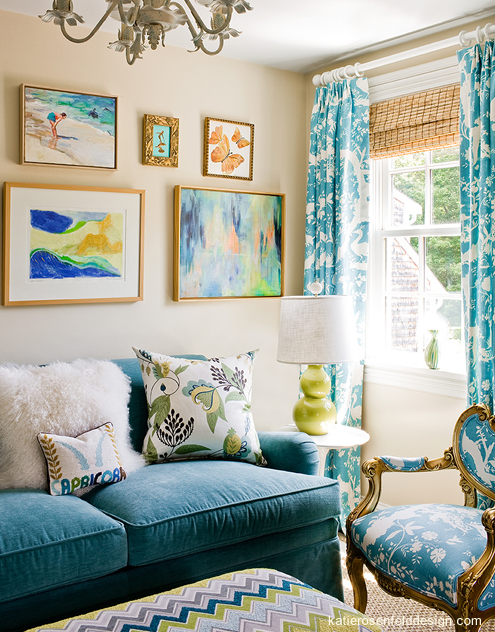 I love each of these sunny and cheerful rooms!! Katie is so talented! that green lamp on the desk is beautiful!